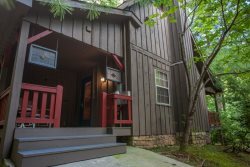 Are you looking for a personal yet professional service to manage your second home in the North Georgia Mountains? Consider selecting Wilderness View Cabins for all your future cabin rental needs. Below, we describe all we have to offer, and if you are interested, contact us today at 706-517-8810. We can’t wait to hear from you. After years of working in the highly regulated and stressful pharmaceutical industry, I needed a peaceful way to spend the remainder of my working years. My son and I were looking up and down the east coast at different business opportunities—from cabins to B&B’s—and landed on our perfect fit: Wilderness View Cabins. We are accepting new cabins into our already successful rental program. We have a commitment to excellence in property management and customer service. We specialize in customizing our agreements to meet our new owners’ requirements. We are always focused on quality, and we consciously limit the number of cabins in our program so we can carefully and thoughtfully manage each home for maximum rental exposure. We take a personal interest in each homeowner and vacation guest that passes through our doors. We have years of customer service experience coupled with a commitment to quality accommodations. Our mission is to provide an exceptional vacation experience for guests, so they will return frequently and recommend our cabins to their friends and colleagues resulting in more bookings. We specialize in providing the highest level of professional and courteous customer service for every owner and guest. We have an office on Fort Mountain. We have on-call personnel who respond immediately to guests and owner's requests and issues 24/7. We are members of local county chambers and industry associations. We market our business locally as well as in our target markets. We set competitive rates based on market demand, and we know when to adjust them to maximize your revenues. We provide free consultation to owners on furnishing, preferred amenities, and optimal staging for your property, so it will be frequently requested. We administer competitive analysis exercises to insure our strategies are moving us in the right direction. We train our staff to be knowledgeable about the North Georgia area, so we can provide informative concierge services to our guests. We provide complementary toiletries, such as soaps, shampoo and conditioner, dish soap, paper towels, and toilet tissue that increase your home's desirability. We have high quality standards for housekeeping and guest services personnel and monitor our standards continuously for higher guest satisfaction. We inspect your home before and after each rental to ensure its cleanliness and to eliminate any potential problems before they arise. We manage all keys and control all forms of access to your property to avoid unauthorized interruptions to guest stays and unauthorized access to your unoccupied home. We will never use your property for our personal use. Only paying guests, owners, and guests of owners are authorized to stay on the property. We invest in numerous internet directory listings, chamber listings, and other advertising distribution channels to promote rentals and generate more guests' searches to view your property. We have a dedicated communications specialist who continuously posts items on social networking sites, blogs, and industry websites, and who stays on top of internet reviews. We continuously update our website to keep it fresh, informative, and appealing to the huge market of online vacation seekers. Thus, we reach more potential guests, who will use and link to our site, building our website's standing in online searches. We implement aggressive search engine optimization techniques to keep our website and advertising at the forefront of web searches. We provide a professional photographer to take photographs of your property and inventory and create detailed listings that describe the features and amenities of your home so that guests feel more comfortable and informed when choosing to rent your home. This may include drone footage of your property on our website. We handle all aspects of your home's rental: online and phone reservations, confirmation correspondence, directions, payment, rental contracts, sales and use tax collection and payment, and any problems that may arise. We will manage all facets of your property maintenance needs using our in-house maintenance and housekeeping staff and by coordinating with local service contractors so you don't have to. We prepare and manage the filing of lodging taxes for you each month at the correct tax rate, so you comply with local tax laws. We prepare your 1099 tax forms at year-end to make it easy for you to file your return. Our staff is trained in industry best practices to enhance guest's vacation experiences and earn you more rental revenues. Owners can access online up-to-the-minute availability calendars to monitor bookings. We compete with other companies by limiting the number of cabins in our program to maximize exposure and protect your investment and return (ultimately offsetting the cost of owning a vacation property for you). "Having a professional and dedicated property manager such as Sharon has been a blessing to us. She and her staff have saved us a great deal of time and frustration and has made the cabin rental experience stress free and worthwhile! All communication and inquires have been prompt and efficient and her sound advice has proven to be very helpful and profitable for us. We highly recommend Sharon and Wilderness Views to other home owners for a wonderful experience." -Travis and Shelley Simmons. "My Husband and I are property owners in Wilderness View Cabins. We have had a wonderful experience dealing with Sharon and her team. Sharon handles the renting and maintenance of our cabin and over sees the upkeep of the neighborhood. Sharon is always willing to help us and makes herself available to us. She is always able to intervene when there are issues or emergencies and is always easy to communicate with. Sharon is always levelheaded and straightforward so that when there is an issue it is clear as to the specifics and she gives us all the details necessary to make an informed decision about what to do. In rural North Georgia there are often times difficulties dealing with getting items/repairs needed for cabin rentals in a timely manner. Sharon is incredibly helpful with helping to facilitate obtaining what is necessary to make a renter happy and fixing the problem to their satisfaction.